What does a rate hike mean for consumers? The Federal Reserve finally raised interest rates. Now what? Many market strategists have been predicting that the Fed's rate increase will be great news for bank stocks and bad for dividend-paying stocks and big multinational firms. Sure, higher rates should boost profit margins for banks. Many were quick to raise their Prime Rate on Wednesday to 3.5%. And yes, the dollar is up more than 1% against a basket of other major currencies on Thursday. Still, several experts said that the market may surprise investors over the next year. So let's bust some Wall Street myths. The rate hike is supposed to be welcome relief to banks, who've struggled to eke out profits on loans with rates at zero for seven years. But bank stocks have already rallied sharply over the past few months in expectations of the rate hike. Megabanks JPMorgan Chase (JPM) and Bank of America (BAC) are up more than 10% since mid-September. As are regional banks SunTrust (STI), PNC (PNC) and Fifth Third (FITB). There may not be that much more room to rise. "I'm wary of the banks. A lot of people have already moved in," said Eddie Perkin, manager of the Eaton Vance Focused Value Opportunities Fund. It's also unclear just how much banks will really benefit from rate hikes. 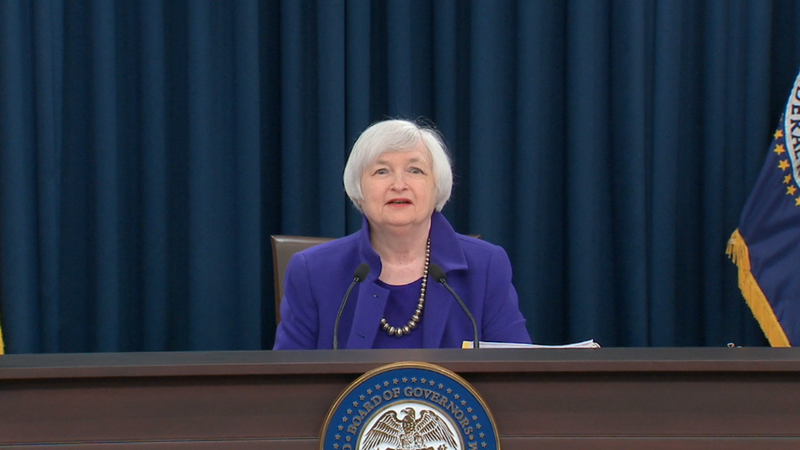 Fed chief Janet Yellen went out of her way to stress that the pace of rate increases next year will be "gradual." Some think the Fed may only raise rates twice in 2016. Mark Spellman, portfolio manager of the Alpine Rising Dividend Fund, is a fan of bank stocks. He thinks there is little downside. But even he concedes that they may not get that big of a boost from the Fed. "The rate hike doesn't do much for the banks at all. It may take time for it to show up in their results," he said. If the Fed is raising rates, bond yields should go up and should become more attractive to investors looking for steady income. That means that stocks that pay dividends -- boring utilities, health care firms, consumer staples companies and real estate investment trusts -- should suffer, right? But utilities, consumer staples and REITs all surged Wednesday after the rate hike. Investors may have come to the realization that a fed funds rate of 0.25% to 0.5% is still extremely low. And rates aren't moving significantly higher very soon. "High-yield stocks do poorly when rates rise quickly. We don't see that as a high probability," said Spellman. What's more, longer-term bond yields didn't spike higher either. The 10-year Treasury rate is hovering around 2.25% -- a bit lower than where it was before the Fed announcement. "You need to compare dividend yields to long-term rates. And Treasuries barely budged," said Tim Rudderow, manager of the Mount Lucas U.S. Focused Equity fund. "This is not necessarily a negative." There are plenty of blue chip stocks that pay dividends which yield higher than 2.25%. And they are still attractive. "Dividend stocks are still of interest because rates are going to remain low for awhile," said Terry Sandven, chief equity strategist at U.S. Bank Wealth Management. Higher rates usually mean a stronger currency. But the dollar has been on fire this year, in large part due to the sense that a rate hike was inevitable. So the dollar too may not go up that much from here. In fact, the same thing happened in 1994, 1999 and 2004 just before the Fed raised rates. "In past rising rate cycles, the dollar has often peaked right around the time of the first rate hike," said Perkin. That means big multinationals like Microsoft (MSFT), Johnson & Johnson (JNJ), Coke (KO) and GE (GE) that generate a lot of revenue overseas may not see their sales and profits get whacked by the strong dollar next year. It's already happened this year. Of course, there's a twist here. The Fed is likely to be the only major central bank raising rates next year. The ECB is still in easing mode and the People's Bank of China could cut rates further. But it all comes back to how much the Fed raises rates. It will be hard for the dollar to surge if rates don't go up that much. "I think the Fed may be dragged kicking and screaming into the next rate hike," said Chris Bertelsen, chief investment officer at Global Financial Private Capital. "Talk about the dollar getting a lot stronger is overdone."